The first step towards reform of the EC was taken when the Single European Act came into force in July of this year. What concrete decisions must the member states now take? What are their chances of being implemented? The field of operations of the Community is widened to include "research and technological development" and "environment", although decisions in these domains will require unanimity. The treaty provisions regarding "social policy" are supplemented by declarations of intent on "improvements, especially in the working environment" and on furthering the "dialogue between management and labour". Decisions by a qualified majority (54 of the 76 votes of the twelve member states) are to make it easier to complete the internal market, which will be achieved by the end of 1992. However, unanimity will continue to be required for provisions affecting taxation, vocational training and the conditions of access to certain professions. In addition, safeguard clauses allow individual member countries to break with the joint approach, provided they are not doing so for economic reasons, in other words using the right as a means of arbitrary discrimination or disguised protectionism. Under the title "economic and social cohesion", the Single Act aims to amend the structure and operational rules of existing Funds and other financial instruments to aid the weaker member countries; decisions in this regard must be unanimous. Member countries shall co-operate in economic and monetary policy in order to achieve the objective of convergence; institutional changes, in other words the further development of the EMS, will require unanimity. Provisions on "European co-operation in the sphere of foreign policy" place European Political Co-operation (EPC) on a treaty basis, but only codify existing practice. Only minor modifications are made in the decision-making system; the Single Act does not meet the repeated demands for the European Parliament to be strengthened nor does it curb the scope for veto votes on essential matters in the Council. The Act merely opened up avenues for progress towards integration. If the opportunity were to be seized, the declarations of intent, objectives and avowals would have to be followed by concrete measures. As before, further advance depended largely on the member countries and their governments. Only if they were determined to exploit the new provisions and only if they could reach a consensus that paid due heed to their differing interests could the Act be a success. The protracted and difficult reform discussion that had gone on since 1980 did not give grounds for optimism in this regard. The membership had been widened still further with the admission of Portugal and Spain, two countries with specific problems and correspondingly high expectations; the search for consensus would probably be even more difficult than before. Moreover, there was a danger that existing problems - above all the reforms that had been initiated after the Fontainebleau summit in the summer of 1984 but not yet completed, and the rapidly growing budget deficit - would so occupy the attention of governments that there would be no room for medium-term initiatives and far-reaching reform. That was the situation prevailing when the EC Commission tabled proposals on the further development of the Community in February 1987.8 he proposals, known as the "Delors package", set out the conditions that the Commission considers necessary for the success of the Single European Act. Far-reaching reform is proposed in three areas: the Common Agricultural Policy, the structural funds and the system of finance. Reform of agricultural policy. As already outlined in its Green Paper of 1985,9 the Commission is aiming to achieve better balance on agricultural markets, in other words a reduction in surpluses and a cut in the budget resources spent on disposing of them from 60% at present to 50% at most. This ambitious aim entails the following measures: "A restrictive price policy, more flexibility in guarantees and intervention mechanisms, a greater degree of producer co-responsibility, including recourse to quota systems". In view of the marked differences in the agricultural structure of the twelve member countries, the Commission considers it essential to create a supplementary mechanism at Community level for supporting incomes; any schemes operated by national governments in this area would have to be brought within the Community framework. Finally, proposals to amend the agri-monetary system have been announced, involving the controversial monetary compensatory amounts. By stating that the proposed range of instruments would have to be complemented by "regional measures", in other words measures to be taken in conjunction with the reform of the structural funds, the Commission is underlining the fact that its proposals form a comprehensive whole, a "package" in EC parlance. Reform of the structural funds. The Commission document lists five objectives for Community structural policies: the promotion of backward regions, support for distressed industrial regions, measures to combat long-term unemployment, action to ease the integration of young people into employment and the promotion of rural development in connection with the reform of the Common Agricultural Policy. The Commission suggests doubling the resources of the three structural funds10 in real terms by 1992, to around 25% of the budget total. The first objective of "enabling the less-developed regions to catch up" is given clear priority, and accordingly up to 80% of the resources of the European Regional Development Fund may be set aside for those regions. By placing the accent here, the Commission wishes to take account of the disparity between the North and the South in the Community, which became even more pronounced with the accession of Portugal and Spain. In order to improve the effectiveness of the three funds, emphasis is to be laid on financing programmes rather than individual projects. In addition, efforts are to be made to improve the co-ordination between the actions of the individual funds, which will also be integrated into programmes. Reform of the system of finance. In the introduction to its proposals, the Commission points out that the resources available under the present system of finance are inadequate, that even the intended raising of the ceiling on the Community's share of VAT from 1.4 to 1.6% will not prevent budget deficits and that by approving the Single European Act member states had agreed that the Community should assume additional tasks entailing additional expenditure. The Commission therefore suggests that a further source of revenue be tapped to augment the Community's own resources, which come at present from customs duties, agricultural levies and a proportion of VAT receipts. "The basis of this supplementary resource would be provided by the difference between the GNP of each country and the basis of assessment of VAT". The Commission claims that using the GNP of member countries as the basis would be fairer, since it would refer to member states' actual ability to pay, as reflected in investment, public expenditure and net exports. The Community's share of VAT could then be reduced to 1%. Until 1992 the ceiling on available resources should be set at 1.4% of the Community's GNP. The United Kingdom should continue to receive relief, but its rebate should be reduced to 50%; all member countries should contribute to financing it, although Germany should bear only up to 25% of its normal share. The reform of the system of finance would be supplemented by measures to instil greater budgetary discipline and by new budget management rules. The linkage between the various elements of the reform is obvious. Without reform of the Common Agricultural Policy the Community's financial latitude would soon be back to zero, even if its own resources were substantially increased, quite apart from the fact that no agreement on a larger volume of finance can be expected unless farm policies are reformed.11 Without an appreciable increase in the resources of the structural funds the economically weaker member countries will not agree to further development of the internal market, since this will primarily benefit the efficient industrial countries in the North of the Community but impose a considerable additional burden on themselves. Finally, unless the budget is greatly increased the Community will not be able to finance new policies, especially in the fields of research and technology and the environment. Governments' initial reactions to the Delors package already suggested that rapid decisions were not to be expected. The difficulties in the various fields that have prevented a unanimous decision being reached became all too obvious during the consultations in preparation for the Brussels summit. The sensitive issues will be discussed below; besides the three main components of the Delors package, these also include measures to complete the internal market, the 1987-91 framework programme in the field of Community research policy and topical problems such as budgetary gaps and the farm price review for 1987/88. Without doubt, the Commission's proposals for reforming the system of finance are of central importance to the further development of the Community. Their acceptance would greatly expand the volume of finance- by around 50% - and would save the Community having to haggle over essential increases in resources at ever shorter intervals, as it has had to do in the past. The present budgetary problems demonstrate the urgent need to reorganise the system of finance. Secondly there is the question of the budget for 1988. The Commission's estimate provides for an increase of 5% to a total of around ECU 40 billion. This exceeds the VAT ceiling of 1.6% expected for 1988. The estimate prepared by the finance ministers of member countries is lower, around ECU 36 billion, but it is criticised as unrealistic and ultimately deceitful, since agricultural expenditure estimates are far too low. The reorganisation of the system of finance will be difficult to achieve, urgent though it be. The use of GNP as an additional yardstick for future budget contributions would fundamentally alter the system and the wealthier states, in particular, would have to contribute a larger share. However, it does stand a chance of being adopted, because it is these countries that have an interest in the swift completion of the internal market. The less developed countries in the South of the Community will oppose rapid progress in this direction unless there is an expansion in financial resources, which would be used partly to replenish the structural funds that are intended primarily to benefit the weaker members. At the Brussels summit the German Chancellor Helmut Kohl indicated that his country was prepared to go along with the Commission's proposals. Even if the principle of using GNP as a new additional criterion for determining the Community's own revenue is accepted in principle, serious hurdles still have to be crossed on the details. One of the main questions is whether a rebate should continue to be granted to the United Kingdom, something the British Government has demanded but the other member states have initially rejected. Further haggling on this issue in the time-honoured fashion is undoubtedly in store. Then there is the question when the new system will come into effect and whether it should replace the old system in a single step or be phased in gradually. The Commission's budget estimate for 1988 assumes - as if it were a matter of course- that additional revenue will already be available from 1st January 1988 onwards. 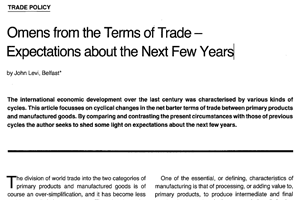 In view of countries' differing interests, it could be deemed a great success if the new system were applied in 1989. Finally, there is the hurdle of ratification of the new system in all member countries, since the provisions governing Community finances are based on treaties. The United Kingdom has not given any indication so far that it will agree. The British Prime Minister wishes to use the present financial plight of the Community to exert pressure for a radical reform of the Common Agricultural Policy; it is an opportunity she does not wish to let slip, at least not prematurely. The Commission continued to follow a restrictive policy as regards target and intervention prices, freezing the prices of some products and reducing them on others. It was mainly Germany, represented by Agriculture Minister lgnaz Kiechle, that vehemently opposed what it considered were unacceptably large price cuts. The CDU and CSU parties in the Bonn coalition felt obliged to pay heed to their farming constituents and voters in rural areas. Analysis of the results of elections to the Federal and Land assemblies had warned them of discontent and criticism in rural areas, where many voters had abstained. The farm prices that were finally agreed therefore produced smaller savings than the Commission had forecast - almost ECU 1 billion less for 1987 and around ECU 3.6 billion less for 1988. The decisions on prices were closely linked with supporting measures on the organisation of markets. Here the Commission had called for a reduction in compulsory intervention, the introduction of thresholds on guaranteed volumes and a tightening of quality requirements. Combining these with structural measures providing support in particular for farmers who opt for extensive or environmentally oriented farming for a fairly long period, it was possible to make some further progress in containing the milk market. Germany also offered particularly strong opposition to the Commission's demand for a reduction in monetary compensatory amounts, since such a measure would entail price reductions for German producers. A solution to the issue was made possible at the summit by a bilateral Franco-German understanding. It provides for a gradual reduction in MCAs but allows German farmers to receive compensation from national resources; the other member states accept the latter, i.e. do not reject it as an unjustified subsidy, which would distort competition. It is becoming clear that the Community's agricultural policy can be reformed only in small steps that are consequently of limited effectiveness. If taking land out of production16 is described as ultimately the only effective means of limiting output (and not co-responsibility levies, production quotas or price reductions), the question arises whether the requisite economic, social and political conditions are present in member countries, in other words whether such a policy would be feasible. It is highly indicative that agricultural policy will continue to be unfinished business on the Community's agenda. The admission of Portugal and Spain further accentuated the disparities in prosperity within the Community. Their accession gave the Commission a further reason for demanding a real doubling of the structural funds by 1992. Whereas countries in the South of the Community regard such an increase as a minimum demand, the Commission's proposals go too far for most of the states in the North. This became clear immediately after publication of the Delors package. Despite obvious opposition, the Commission stood by its fundamental demand, as the overall plan presented at the end of July 1987 shows. This framework programme sets out concrete proposals in line with the ideas on a more efficient and concentrated use of the structural funds' resources first outlined in the Delors package. Regions where the per capita GNP is more than 25% below the Community average would count as "underdeveloped" and would receive up to 80% of the resources of the European Regional Development Fund. The Commission attaches great importance to measures under multiannual development programmes, on which the Community institutions would have to collaborate with national governments and regional and local authorities. Measures in this field, which are designed to promote what the Single European Act terms economic and social cohesion, are inseparable from the objective of completing the internal market. This explains the willingness of the German Government to support the Commission's approach, although not fully or in all details. It also means that the United Kingdom will probably not maintain its staunch opposition to a swift expansion in Community finances indefinitely, since London stands to gain from the internal market. The internal linkage between the various elements in the reform package is evident here too. Many observers see the aim of completing the internal market by 1992, and the introduction of simplified majority decision procedures in order to achieve that aim, as the central element in the Single European Act. Willy de Clercq, a member of the EC Commission, noted in a speech in mid 1987 that a great deal had been achieved in this area in a relatively short space of time, although until then the Council of Ministers had approved only 57 of the 180 proposals made by the Commission and the entire programme for the removal of trade barriers encompassed around 300 measures.17 The Commission's programme for 1987, which the President of the Commission Jacques Delors presented to the European Parliament on 18th February 1987,18 lists a series of individual measures regarding the internal market, grouped under the following headings: the removal of physical, technical and tax barriers, the liberalisation of public procurement, measures to guarantee the free movement of workers and members of the professions, creation of an environment favourable to industrial co-operation and free capital movements and liberalisation of the services market.19 Tax harmonisation and the liberalisation of public procurement are considered to be particularly important but problematic fields. The Commission announced its tax harmonisation proposals in mid-July 1987. It does not propose the complete harmonisation of value added tax but the introduction of two tax rates, each with a 5% margin of variation. The standard rate would be between 14 and 19%, the reduced rate (for food, energy for heating and lighting, passenger transport, pharmaceutical products, books newspapers and magazines) between 4 and 9%. Implementation of these proposals will encounter opposition in many countries, since in the United Kingdom and Ireland, for example, certain everyday requisites are zero-rated and countries such as Denmark and Ireland would have to reduce their standard rate, currently 22 and 25% respectively. In addition, the Commission proposes uniform rates for the various excise duties on spirits, wine, beer, tobacco, petrol, diesel oil and heating oil. Here too, the impact of implementation would differ from one country to another and in some cases would appreciably restrict the government's financial freedom of action. Difficulties would also have to be expected if harmonisation entailed raising tax rates. The Single European Act stipulates that decisions in this regard must be unanimous, given their far-reaching consequences. It is conspicuous that neither the Delors package nor the Commission's programme for 1987 speaks uniformly of the "completion of the internal market", but instead uses phrases such as "the establishment of a large market without internal frontiers" or "completion of an area without internal frontiers" and states that "a common economic area" must be established. This embraces not only measures to dismantle trade barriers but much more far-reaching action. In his speech, Willy de Clercq explicitly mentioned in this connection the strengthening of economic and social cohesion, for which specific political decisions would have to be taken, such as an increase in the resources of the structural funds, the harmonisation of national economic policies and measures to strengthen and further develop the EMS.20 It can hardly be expected that an "internal market" defined in this way, or more correctly a "common economic area", can be achieved by the end of 1992. The deliberations continued into 1987. In March the Belgian Presidency of the Council won the approval of ten member states for a compromise proposal providing for funds totalling ECU 6.8 billion; the United Kingdom remained implacably opposed, but Germany indicated it might sanction the proposal. Not until mid-July was agreement reached on the new framework programme, which involves finance of ECU 5.6 billion. The United Kingdom agreed to a compromise whereby ECU 5.2 billion would be approved initially and the remaining ECU 0.4 billion would be released once agreement had been reached on the future system of Community financing. The entire episode is a prime example of the way in which decisions are reached in what has now become a Community of Twelve; it is particularly typical of areas to which member states attach high priority, for one reason or another. Bearing in mind the problems portrayed above, it would have been unreasonable to expect that the European Council meeting in Brussels at the end of June 1987 would reach final decisions on the entire Delors package and hence on the measures necessary for the successful implementation of the programme contained in the Single European Act. Instead, decisions were postponed to the next summit, to be held at the beginning of December 1987 in Copenhagen under the Presidency of Denmark. Opinions differ widely on the outcome of the Brussels meeting; some observers speak of setbacks and failure, but others are less critical. 22How should the results of the summit be judged and what do they signify for the further development of the Community? The establishment of a common economic area with the various elements this entails, namely conditions identical to those prevailing in a national market, economic and monetary policy convergence, strengthening of the EMS and greater economic and social cohesion in accordance with the provisions of the Single European Act. The specialist councils of ministers are called upon to make use of the decision-making procedures made possible by the Single Act - i.e. qualified-majority voting - in order to advance towards completion of the internal market. The urgent need for a new framework programme for Community research and technology policy is forcefully underlined. Reform of the structural funds is recognised to play the central role in achieving greater cohesion. As in the Delors package, the statement advocates a greater concentration and more efficient usage of resources in the context of comprehensive programmes. The priority accorded to less developed regions is also confirmed. Whereas the Commission had demanded a doubling of resources, the final declaration merely states that a financial objective must be set. The link between the creation of new resources and the maintenance of strict budgetary discipline is reinforced. In this context, it is expressly stated that in no circumstance can the increase in agricultural expenditure be permitted to exceed the increase in the Community's own resources. As regards new own resources, the Council is requested to set a new ceiling based on a percentage of Community GNP. The relative prosperity of member countries is explicitly recognised as a criterion. In the field of agricultural policy, the conclusions urge measures to restore market equilibrium but mention supplementary measures in the form of direct income support within a uniform Community framework. Commission President Delors was undoubtedly right when he claimed before the European Parliament that the Commission's proposals had, in the main, been upheld at the summit. It can therefore certainly not be said that the summit was a failure. The question is only whether it is realistic to expect final decisions to be reached at the summit in Copenhagen. The dilatory way in which many of the central problems of the Community were dealt with in the first half of 1987, so that only a few urgent problems had come closer to solution by the end of July 1987 (the supplementary budget for 1987, agricultural prices for the 1987/88 farm year, the framework programme for research and technology), was undoubtedly due partly to the fact that national elections were being held in several member countries. At such times the governments concerned are so absorbed by domestic policy issues that the Community institutions - and more especially the Council - are necessarily hampered in their ability to reach decisions. This is a recurring problem with which the Community will have to come to terms now that it has twelve member countries, which means that national elections will occur relatively often. Since important decisions require unanimous approval, it is unlikely that Community decision-making can be speeded up. The Brussels summit demonstrated what that implies in concrete terms. The final declaration was approved by only eleven delegations, with Mrs. Thatcher declining to add her signature on the grounds that the statements were too vague and would in any case not guarantee any cuts in agricultural expenditure. By adopting this attitude, the British Government isolated itself at the Brussels summit. It seems to view its veto against the Delors package as a means of forcing far-reaching reform of the Community's agricultural policy. Although it is an open question how forcefully London will press its point of view in the further deliberations, the British can ultimately be expected to fall into line, since London itself has a strong interest in some parts of the reform package. The Brussels summit can therefore be described as a first step in the implementation of the Delors package. If one remembers the extremely long period of discussion that was needed before the Single European Act was finalised, the length of the deliberations over the Delors package are not at all abnormal for the Community. Since it is a question of redistributing resources, it is correspondingly difficult to put together packages of measures, which is the only way in which decisions can be reached. Another question entirely is whether the electorate, which will be called upon to vote in the third direct elections to the European Parliament in the spring of 1989, understands and accepts this way of decision-making and hence also the extremely slow pace of decision-making in the EC. There are therefore no grounds for speaking of a profound crisis in the EC. What needs to be realised, is how difficult it is to reach forward-looking decisions in a community of states that have different structures and interests but which nevertheless look to one another and are tied together in the international arena in a way that had not existed before. The high degree of interdependence and the need for consensus will also shape the future development of the Community.26 Spectacular strides should therefore not be expected, but one can expect a further step-by-step intensification of relations. Hence it would be unwise to have too high hopes of the next summit in Copenhagen. 1 The text of the Single European Act, which was signed in February 1986 and finally came into effect in July 1987 after completion of the ratification procedure in all twelve member countries, is reproduced in: Bulletin of the European Communities, Supplement 2/86. 2 A brief summary is contained in Rudolf Hrbek : Die "Europäische Union" als unerfüIIbare integrationspolitische Daueraufgabe? Lehren aus dem Reform-Septennium der EG (1980-1987), in: Ernst-Joachim Mestmäcker, Hans Möller, Hans-Peter Schwarz (eds. ): Eine Ordnungspolitik für Europa. Festschrift für Hans von der Groeben, Baden-Baden 1987, pp. 167-200, especially pp. 170-185. The initial phase of the reform debate is described in detail in the collection of essays by Bruno BengeI et. al. : Nur verpaßte Chancen? Die Reformberichte der Europäischen Gemeinschaft, Bonn 1983. Information on the more recent phase of the debate since 1984 is contained (with source texts) in the collection of essays by Werner Weidenfeld, Wolfgang Wessels (eds. ): Wege zur Europäischen Union. Vom Vertrag zur Verfassung?, Bonn 1986. 3 Representative in this respect are speeches and statements made at the signing of the Single European Act in Luxembourg on 17th February 1986 and in The Hague on 28th February 1986, especially the speech by the Vice-President of the European Parliament, Siegbert Alber, and by the Italian Foreign Minister, Giulio Andreotti. 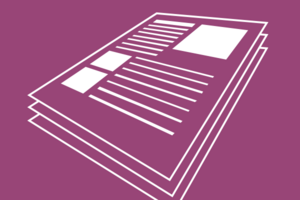 The speeches and statements are reproduced in a brochure published by the Council of the EC. 4 See Rudolf Hrbek, Thomas Läufer : Die Einheitliche Europäische Akte. Das Luxemburger Reformpaket: Eine Etappe im lntegrationsprozeß, in: Europa Archiv, No. 6/1986, pp. 173·184; Wolfgang WesseIs : Die Einheitliche Europäische Akte - Zementierung des Status quo oder Einstieg in die Europäische Union?, in: integration, No. 2/1986, pp. 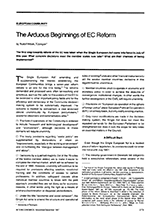 65-79; Rudolf Hrbek: EC Reform Inch by Inch, in: INTERECONOMICS, Vol. 21, No.3, 1986, pp. 130-136; Werner WeidenfeId : Die Einheitliche Europäische Akte, in: Außenpolitik, No. 4/1986, pp. 375-383; several essays in the special issue of the journal "integration" devoted to the Single European Act, No. 3/1986; Hans-Joachim GIaesner : Die Einheitliche Europäische Akte, in: EuR. No. 2/1986, pp. 119-152; especially critical is Pierre Pescatore : Die "Einheitliche Europäische Akte" - eine ernste Gefahr für den Gemeinsamen Markt, in: EuR, No. 2/1986, pp. 153-169. 5 See Wolfgang Schumann : Das Dänische Referendum zur Einheitlichen Europäischen Akte: Hintergründe und Konsequenzen, Ebenhausen, August 1986. Denmark's fundamental position is described in the study by Wolfgang Schumann : Dänemark in der Gemeinschaft. Bestimmungsfaktoren und Handlungsspielraum dänischer EG-Politik, Ebenhausen, August 1985. 6 For a brief overview, see Rudolf Hrbek : Die deutschen Länder in der EG-Politik, in: Außenpolitik, No. 2/1987, pp. 120-132, and Renate HeIIwig : Die Rolle der Bundesländer in der Europa-Politik. Das Beispiel der Ratifizierung der Einheitlichen Europäischen Akte, in: Europa Archiv, No. 10/1987, pp. 297-302. For a more detailed treatment of this problem, see Rudolf Hrbek, Uwe Thaysen (eds. ): Die deutschen Länder und die Europäischen Gemeinschaften, Baden-Baden 1986. 7 See reports in Neue Zürcher Zeitung of 14th and 28th April1987 and 24th/25th May 1987, in Die Zeit of 5th June 1987 and in Ireland Today (Bulletin of the Department of Foreign Affairs), No.1037, May/June 1987, p. 3. The Irish Times carried regular reports on the referendum campaign, including a survey of the various arguments put forward. 8 "Making a success of the Single Act. A new frontier for Europe", Communication from the Commission to the Council, document COM(87)100 final, 15th February 1987. Reproduced in: Bulletin of the European Communities, Supplement 1/87. 9 Reproduced in: Bulletin of the European Communities, No. 12/85. 10 The European Regional Development Fund, the European Social Fund and the European Agricultural Guidance and Guarantee Fund, Guidance Section. 11 This is a cast-iron demand continuously made by Mrs. Thatcher, the British Prime Minister. 12 The conclusions of the Belgian Presidency on the meeting of the European Council in Brussels are reproduced in: Agence Europe, No.4581 of 2nd July 1987, pp. 5-9. 13 Stuttgarter Zeitung, 2nd July 1987. 14 Neue Zürcher Zeitung, 16th May 1987. 15 Some observers surmise that the EC Commission was well aware of the opposition to the tax on oils and fats in several member countries and included it in the price package partly as a bargaining counter that could be negotiated away in exchange for other concessions. 16 This point of view was expressed recently by Sicco L. ManshoIt: Beschränkung der landwirtschaftlichen Produklion. Ein Problem der EG-Politik, in: EuropaArchiv, No. 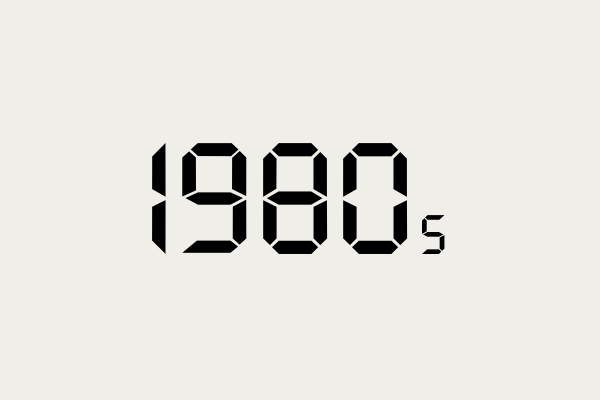 15/1987, pp. 429-436. 17 The speech was delivered at the International Monetary Conference in Hamburg; see the report in Neue Zürcher Zeitung of 23rd June 1987. 18 The Commission's programme for 1987 is reproduced in: Bulletin of the European Communities, Supplement 1/87, pp. 36 ff. 20 See the report in Neue Zürcher Zeitung of 23rd June 1987. 21 On this entire subject, see the overview in Rudolf Hrbek , Vera Erdmann : lntegrationsschub durch Technologiepolitik? Zur Reichweite neuer Aktivitäten in der EG, in: ORDO-Jahrbuch 1987. 22 The wide range of assessments was evident in the debate in the European Parliament on 7th July 1987 on the outcome of the summit, a debate in which the Belgian Prime Minister, Wilfried Martens, President of the Council for the first half of 1987, and Jacques Delors, President of the Commission, participated. See the summary report in Das Parlament, No. 30-31 of 25th July/1st August 1987, pp. 13-14. 23 Waldemar Hummer, Michael Schweitzer : Möglichkeiten und Grenzen der Dynamisierung der Beziehung Österreichs zu den Europäischen Gemeinschaften, in: EuropaArchiv, No. 12/1987, pp. 343-350, here p. 343. See also Andreas KhoI : Österreich und die Europäische Gemeinschaft, in: Europa Archiv, No. 24/1986, pp. 699-708. 24 See the overview in Hans-Joachim SeeIer : Die Beziehungen zwischen der Europäischen Gemeinschaft und dem Rat für Gegenseitige Wirtschaftshilfe, in: Europa Archiv, No. 7/1987, pp. 189-198. 25 See the statements in Werner WeidenfeId : Neuorganisation der Sicherheit Westeuropas. Ein Beitrag zur aktuellen Diskussion, in: EuropaArchiv, No. 9/1987, pp. 259-268. 26 This view and interpretation are explained in greater detail in Rudolf Hrbek : 30 Jahre Römische Verträge. Eine Bilanz der EG-Integration, in: Aus Politik und Zeitgeschichte, No. 18/87, pp. 18-33, especially pp.32-33, and in the author's essay quoted in footnote 2.